The National Safety Council estimated in 2016 that approximately 4.4 million people were injured and 40,000 deaths occurred from motor vehicle crashes nationwide, a significant increase from 2014. These statistics show the largest recorded percentage increase in 50 years. According to the Florida Department of Highway Safety and Motor Vehicles, 668,699 people in the state (about 1 in 30 Floridians) were involved in an accident in 2016, which adds up to over 1,000 crashes per day. Of these crashes, 2,935 resulted in a fatality. The point is, deadly serious car crashes are extremely common in Florida and nationwide. And yet, although automobile crashes and other injuries are the leading cause of death among Americans age 1 to 44, a majority of us have been calling the problem by the wrong name for our whole lives. If we want to cut down on that number, it’s worth examining the language we use to describe these events because—as others have said before us—words matter. Traffic safety activists are rising up across the country to call on legislators and the public to change how they refer to motor vehicles collisions involving cars, trucks and motorcycles. 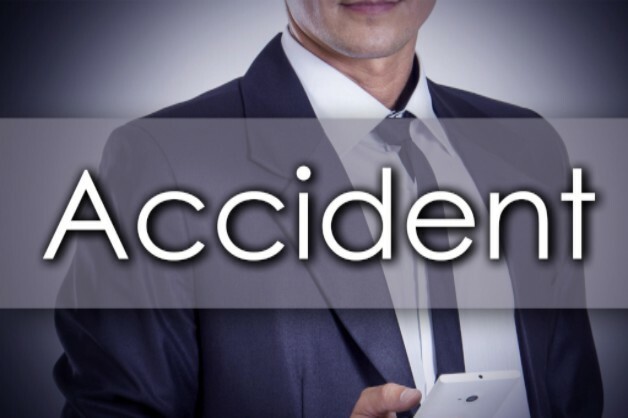 The word “accident,” they say, makes it sound like the crash was not preventable, despite the fact that a majority of collisions are caused by human negligence or error. Advocacy groups and supporters of this movement have come to the conclusion it is wrong to refer to a crash or collision as an accident, saying they believe millions of people are being misled to believe that fatalities from car collisions can’t be prevented or avoided since they are an inevitable accident. In fact, the top causes for road crashes are poor street conditions, distracted driving, drunk or impaired driving, excessive speeding, and negligence on the part of the drivers. All of these causes are preventable. Families for Safe Streets and many other advocacy groups are seeking to eliminate the word “accident” when referring to a motor vehicle collision and replacing it with “crash” or “collision,” saying it is more precise. These groups have begun rallying for this in New York and in other states across the country. The Crash Not Accident movement has historical precedent. The first recorded use of the word “crash” instead of “accident” in reference to automobiles dates back as far as the early 1900s when the first automobiles were large and cumbersome. Back then, American drivers did not think that a collision was ever an accident, so they referred to them as crashes. In addition to public backlash, judges typically ruled that in any vehicle collision, the larger vehicle was to blame. In cases of pedestrian deaths, drivers were often charged with manslaughter regardless of the circumstances of the crash. To counter this growing notion that motor vehicles were dangerous killing machines, automakers and other industry groups like the National Automobile Chamber of Commerce sought to shape news coverage of crashes by establishing a free wire service for newspapers. The term soon became the most common way to describe car collisions. By the 1960s, the first director of the National Highway Traffic Safety Association (NHTSA) recognized that “accident” wasn’t an accurate way to refer to collisions and so he initiated a policy where anyone who used the term “accident” in their meetings had to put a dime in a jar. Even today, the NHTSA still pledges to not use the word “accident” in official capacities. Since 2013, New York City and San Francisco have stopped using the “A-word” completely in their police departments, both in their everyday descriptions and in regular collision reports. Today, a growing number of companies, organizations and people are joining the “Crash Not Accident” movement by taking a stand to say that words do matter and there is an important difference in the two terms—crash vs. accident. As committed Tampa car accident and personal injury lawyers, we find this change of perspective is leading to a more precise confirmation when two cars collide. In our experience, negligence plays a prominent role in most Florida car accident—whether it be negligence of another driver, of an auto manufacturer, another company, or a government agency. Contact us if you have been seriously injured, or a loved one has been killed, due to the negligence of another person. We offer free car crash case consultations and are bilingual. *You may notice that we still refer to car crashes as “accidents” in numerous places throughout our website. This is because that is the more commonly used term today among legal professionals and the general public. However, we strongly support the #crashnotaccident movement and encourage you to support this safety culture by taking the pledge.